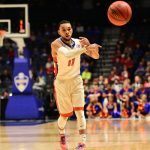 With yet another opportunity to pick up a win over a Quadrant 1 opponent on the horizon, Florida Gators basketball on Saturday heads to Knoxville, Tennessee, to take on an SEC rival that has surpassed it for the first time in a while. The Tennessee Volunteers enter the game as the No. 1 team in the nation — a spot they have held for the last few weeks and one they expect to hold onto against a visiting rival that is hardly above .500 on the season. What will go down on Saturday afternoon? 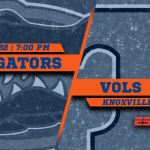 Let’s take a look at what you need to know and how you can watch Florida-Tennessee. Picking basketball is generally a tough ask, but I’ve been on point this season … mostly because assuming the Gators will lose big games has been an easy decision. Saturday’s game is not as easy. While the Vols did win by this margin a month ago, Florida actually led at halftime and simply could not find the bottom of the basket in the second half. That could happen again, but it would probably require UF shooting 28 percent for an entire period. 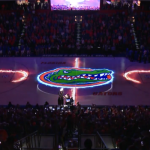 The Gators are reeling and should be up for a game against the No. 1 team in the nation — if not offensively, at least defensively. Florida will lose this game, but it has only dropped one game since its opener by more than 11 points, and that was Tuesday night against a top scoring team. 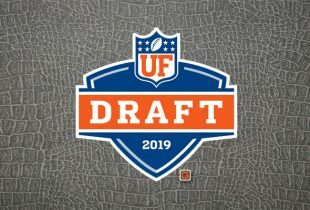 UF may struggle in its third straight defeat, but I don’t see it getting creamed that way again with three full days of preparation. And if that is to be the case, the game should fall under. Alternating lineups all season, Florida has gone with this grouping in five of the last six games dating back to Jan. 19. » Florida is just 57-75 all-time against Tennessee, including 17-46 on the road. The Gators are 1-2 against the Volunteers under White, and the teams are 5-5 in their last 10 meetings. » UF is 1-8 in Quadrant 1 games this season and winless against ranked opponents (0-5). » Florida is 10-19 against AP Top 25 teams and 2-5 against top 10 teams under White. » The Gators are 2-15 all-time against No. 1-ranked opponents with no such wins coming during regular season play (0-15). » The Vols have not lost in regulation this season and are on a 17-game winning streak overall. » Florida has shot worse than 40 percent from the field in 11-of-22 games played this season. » Allen enters ninth in program history in scoring (1,581) and has an opportunity to enter the top five before the ending the season. He also has the best free throw percentage in program history (.876) and is fourth in three-point attempts (673) and seventh in makes (230). This will mark Allen’s 121st start, fifth-most in program history. » Hayes is second in program history with 192 blocks.